Download the Tobacco Road Golf Club mobile app to enhance your experience. Mobile apps contain many features like scorecard, GPS, tee times, news, deals and more! Click on the icons for more information and free download. Described as "Pine Valley on steroids" and "golf's rock and roll thrill ride", Tobacco Road Golf Club is certainly unique. Carving his way through an old sand quarry, Mike Strantz created one of the most celebrated and talked about courses in the world. Consistently rated amongst the nation's best, Tobacco Road is the one course that leaves you and your golfing friends begging for more. The scene is so breath-taking you will want to bring along your camera to forever capture the greatness of "The Road". 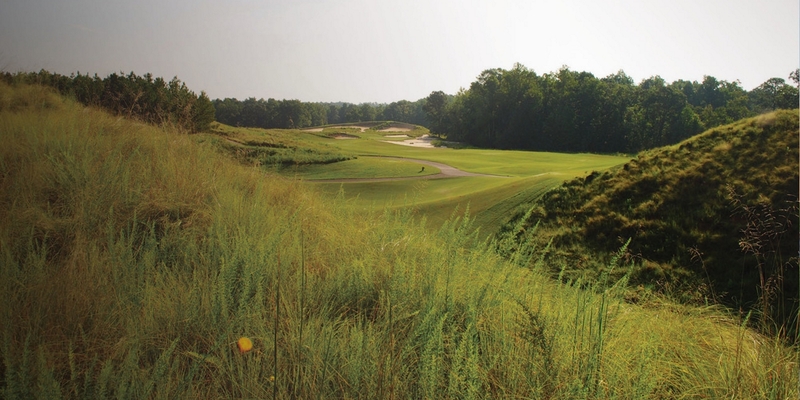 Playing at a length of 6500 yards from the Ripper tees, Tobacco Road was rated as high as second in slope in the Carolinas to the famed Ocean Course at Kiawah Island. Please call 919-775-1940 for current rates. Call 919-775-1940 for rates and tee times. Contact Tobacco Road Golf Club at 919-775-1940 for more information and details on holding a golf outing at the course. Contact Tobacco Road Golf Club at 919-775-1940. Contact Tobacco Road Golf Club at 919-775-1940 for onsite or nearby dining options. This profile was last updated on 03/02/2016 and has been viewed 14,551 times.